Getting together over Food is the most authentic bonding exercise that comes naturally from the heart. A birthday, an anniversary or simply a get together with your loved ones provide you with the reasons, enough to create those special moments to be cherished for a lifetime. Eating out in a restaurant or dancing in a lounge are so not our genre. 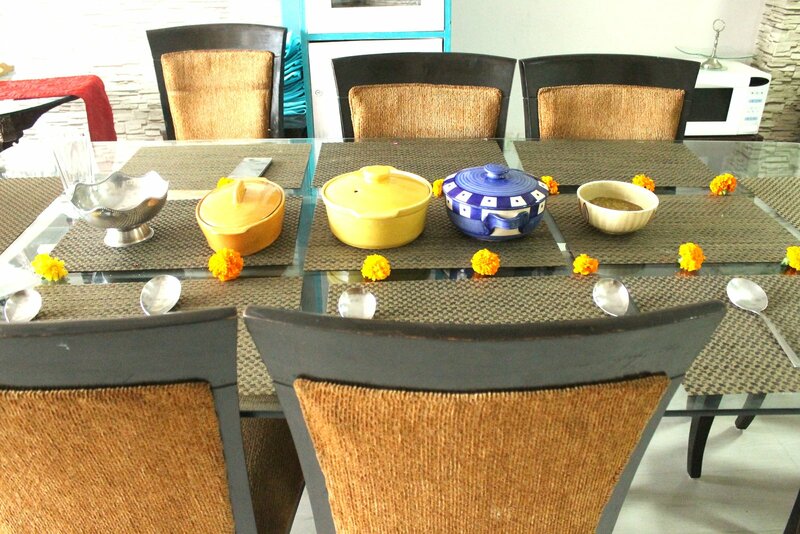 We prefer doing it the “TasteSutra Way” and bond while learning cooking food with a hands on Cooking Class Experience. 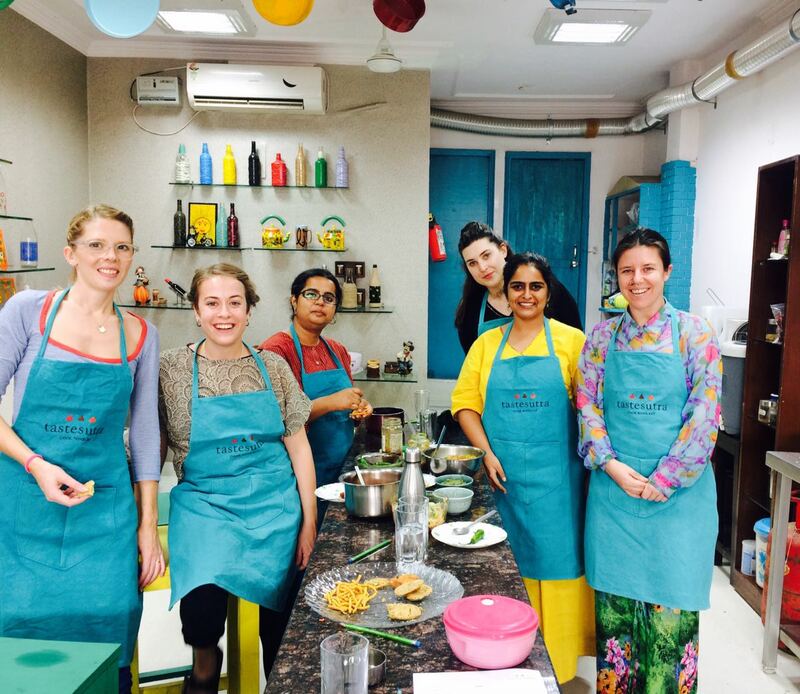 We promise to deliver an amazing experience at the Tastesutra hands on Cooking Studio to make your day the most memorable one! 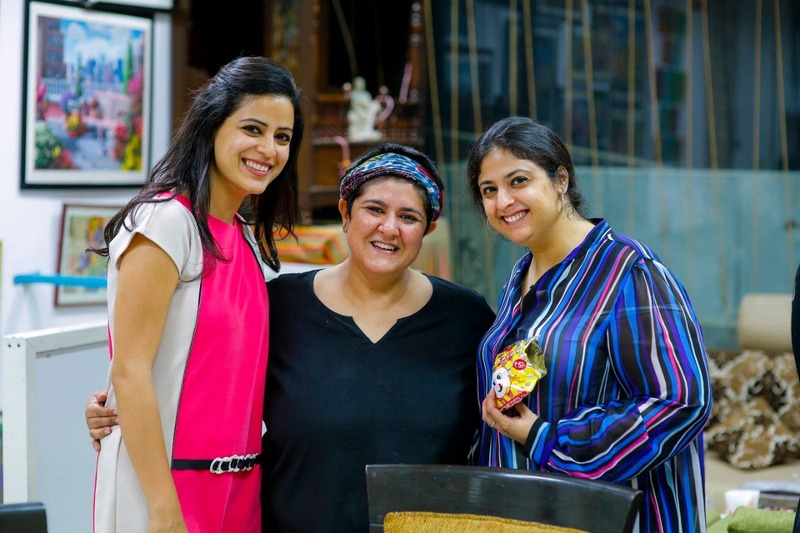 With perfectly crafted & decorated kitchen, assorted with colorful pots and pans, TasteSutra promises to be the most cherished local cooking class in Delhi. The luncheon that follows in our private cozy dining room shall ensure a completeness to your experience.